Singer, guitarist and ordinarily lead man of the well established local group “Carl and the Converted,”.acoustic sets from Carl alone are a rare treat. 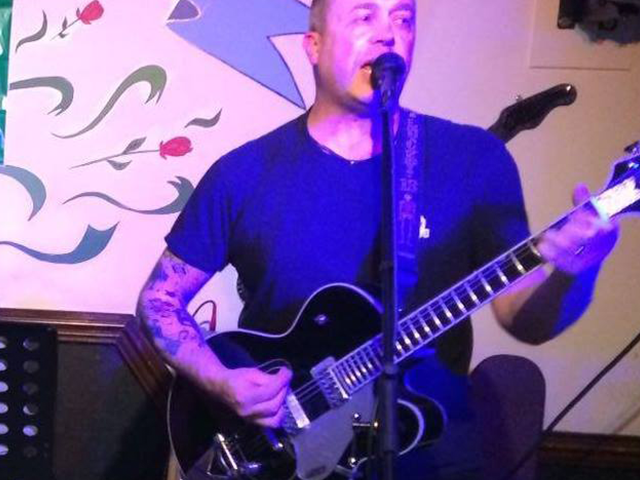 His musical offering is fairly retro, 50s and 60s (we’re assured you will know them) which reflects his passion of wanting to keep music authentic without too many effects, but with a few modern songs thrown in. His influences are Eddie Cochran, Elvis and pretty much most groups since then!